As so often occurs in situations of this kind, Twitter reacted with a significant amount of glee and schadenfreude to Martin Shkreli’s arrest on security fraud charges. For the grinning millionaire who seems to have taken to the role of hate figure with enthusiasm, it should come as no surprise. He is young, rich and, judging by his media persona, unashamedly confident in his conviction that his much-maligned business practices are beyond reproach. Few in pharma had heard of the 32-year-old prior to September this year, when the Daraprim price scandal made the news for the first time. For those that have somehow managed to avoid this story, Shkreli – who made his fortune as a hedge fund manager – purchased the rights to a 62-year old, off patent drug for a rare parasitic disease through his pharma start-up Turing. He then instantly raised the price from $13.50 per pill to $750. Against the media and public backlash that followed, and the political outrage, Shkreli justified this decision by arguing that Daraprim was an outdated drug, and that Turing needed to make money in order to research and develop a better alternative. But his notoriety grew in the months that followed with his antagonistic and sometimes bizarre comments. First, Turing offered discounts in the region of 10% before the end of the year, before reneging on this promise and claiming that the access schemes in place were sufficient. 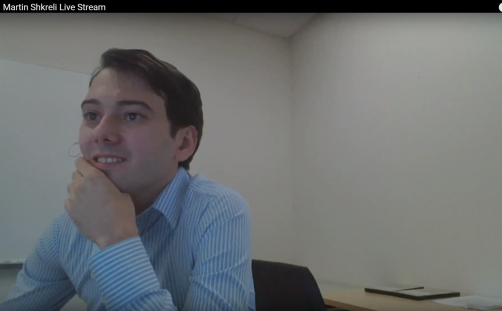 It was around this time that Shkreli, asked if he would have done anything differently with his Daraprim strategy, given a second chance, said that he probably would have raised the price higher. His bizarre personal behaviour included amongst other things, spending $2 million on a single copy of a Wu-Tang Clan album and then offering to play it to singer Taylor Swift in return for sexual favours. Recently, he took control of another small pharma company, KaloBios, which announced soon after that it would be employing a similar pricing strategy with another parasitic drug treatment it quickly snapped up as seen with Daraprim. Shkreli may have done more to damage the reputation of the industry in the eyes of the general public this year than any of the industry giants, but pharma’s pricing problems aren’t about one man. Shkreli has put the spotlight squarely on the pricing issue, but it is important to remember that while Daraprim’s price increase may have looked the most unbelievable when expressed as a percentage, it is certainly not the increased cost of a treatment that affects so small a number of people that is placing the most strain on the healthcare system and insurance prices. Drug prices have been rising for a long time above inflation, due ostensibly to rising R&D costs and the impact of the patent cliff that opened up many blockbuster drugs to cheaper generic competition. Last year, Gilead Sciences felt the heat for the $84,000 treatment cost of Solvadi. Beleaguered Valeant is also under pressure over 200 and 500% price increases, respectively, for its dermatology drugs Isuprel and Nitropress. The company received subpoenas from the US Attorney's Office in October. And the price of drugs look set to continue. In this record year for FDA approvals – boosted by orphan and ultra-orphan drugs – the US regulator approved Vertex Pharma’s Orkambi (lumacaftor and ivacaftor). The drug is a welcome new treatment for cystic fibrosis but costs $259,000-per-year. Many generic drug prices are also climbing, and as they represent 85% of drugs used overall in the US, it is as much a concern as the growing unaffordability of branded products. Staples like the steroid prednisone and heart failure medication digoxin are particular examples, while the price of antibiotic tetracycline went up 67-fold in the year between November 2013 and 2014. Other pharma executives may distance themselves from Martin Shkreli’s pricing practices, calling him a one-off and perhaps enjoying the fact that their image is boosted by comparison, but in truth, many are doing the same thing. The difference is that they aren’t being so blatant about it, and they are not chasing a bad-boy image like Shkreli, who they may privately thank for deflecting attention away from them. Turing is by far the only company to have hiked prices by huge amounts, but its leader’s persona and unapologetic nature is what has singled him out for vitriol. Many others in the industry will be wishing him a long sojourn in the spotlight.